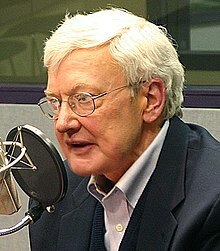 The Great Movies is the name of several publications, both online and in print, from the film critic Roger Ebert. The object was, as Ebert put it, to "make a tour of the landmarks of the first century of cinema." ^ This number includes individual installments of series he recommended (like the Up Series, The Apu Trilogy, The Three Colors Trilogy, etc.). ^ The list on this citation counts 409, but ICheckMovies counted 26 additional films by Buster Keaton because Ebert had written a career retrospective on Keaton's cinematic work and legacy in The Great Movies II, and they made the decision that meant he meant to include every directorial work Keaton completed as "Great Movies." For the sake of this article, those 26 films do not count as official selections of The Great Movies. ^ Ebert, Roger (November 2003). The Great Movies. New York: Three Rivers Press. p. xvi. ISBN 978-0767910385.